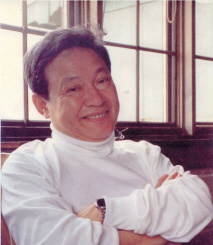 Dr Keigo Iizuka is Professor Emeritus at the University of Toronto and a Fellow of the Optical Society of America. He was born in Kobe, Japan, and he began his university studies at Kyoto University. He completed his Ph. D at Harvard University, where he also worked for a short while as a research fellow and a lecturer. For the past thiry-five years, he has been a professor in the Department of Electrical and Computer Engineering at the University of Toronto. His textbooks on optics are very highly regarded. His research interests have evolved over the years. He began with studies of the properties of antennas, microwave measurements, and microwave holography. These studies served as the foundation for subsequent projects such as the development of an ice surveying radar and a step frequency radar. With the advent of the laser, his studies shifted to the optical frequency range, where once again, his previous work on microwave phenomena served as an excellent foundation for the transition to optical phenomena. In the field of optics, his research includes optical measurement and sensor technology, fiber and integrated optics, the analysis of nonlinear guides, the invention of laser microvision and the Axi-Vision Camera, and 3D displays (see research). Information regarding his textbooks, such as book reviews, errata, and additional references. Instructions for advanced labs, along with examples of student reports. Video clips from his educational video "Fiber Optics Labs from Around the World". His latest research, including explanations and news bulletins.